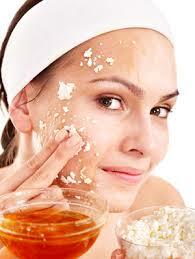 We have brought you a few tips of post party skin care so that you can at least mollify your skin. Indian festivals keep coming and going and the party scene never seems to end! While you were out there having a blast, your skin wasn’t having such a good time, though. Late nights are a lot of fun for you, but your mother and your skin do not approve. We have brought you a few tips of post party skin care so that you can at least mollify your skin. Long party nights can easily show up on your skin. While at your party, keep yourself hydrated by drinking a lot of water or juices. Avoiding hard liquor can go a long way in preserving your skin’s glow. Or else your skin will end up looking haggard and drawn. When you get a hangover, your skin gets one too! Yes I mean all your makeup. It may make you look gorgeous, but if it stays on your skin, it can clog your pores and cause acne. So dip your cotton ball in generous amounts of makeup remover and go over your skin twice. For your eyes, use a separate makeup remover, preferably oil based. Don’t ignore your lips! Once all your makeup is gone, cleanse your face with your favorite face wash. 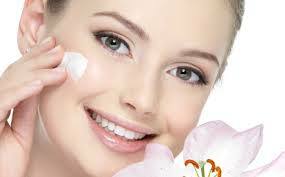 Try using a moisturizing face wash and apply it in a circular motion to reach deep inside your skin. You can let your face wash stay on for a while before you wash it off so that it percolates deep into your skin. Dry your face and neck by patting it dry with a towel. Apply your face cream or moisturizer followed by night crème so that you will wake up with fresher skin. Your eyes get the worse end of the bargain at the end of a party night. Give them a wake up call with by using a simple technique. 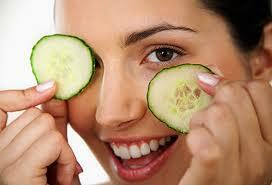 Apply slices of cucumber to your eyes and keep them on for 20 odd minutes, letting the fresh natural juices rejuvenate your skin. You can even opt for cotton swabs soaked in cold rose water – they have the most relaxing effect for your eyes. Unclogging your pores is the next step. Wash your face with face wash and dry it. Then steam it for about 10-15 minutes or till your face starts to sweat. The opening off your pores will help release toxins and bring back your fresh and glowing skin. 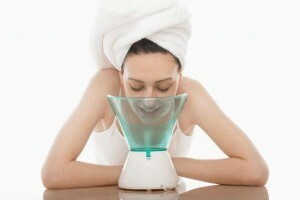 Make sure you don’t go overboard in steaming your face, because too much steam can cause your skin to go dry and crack. Do away with all the impurities of the previous night with a simple scrub to follow your steam session. Focus on your cheekbones, forehead and chin to do away with any dead skin. Exfoliating removes any dead skin and deep seated impurities and helps your face remain clean and acne free for a longer time. Go the extra length to help your skin recuperate from the onslaught of makeup. 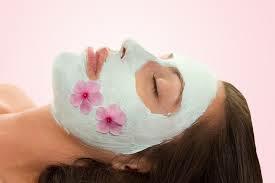 After a thorough scrub, apply a moisturizing face pack. You could try something with curd as a base or even go for a brand that suits your skin. After a steam and a scrub, your skin is more receptive to moisture and the moisturizing face pack will give it the power packed dose it needs. 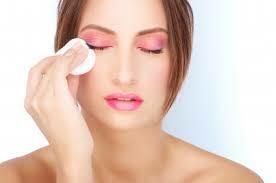 If your skin is not used to too much makeup, it is best to keep it free from makeup for a few days. Refraining from makeup and letting your skin breathe helps it go back to its original glowing state. Be sure to keep it clean by using your favourite face wash regularly. Using good makeup is one of the first steps to ensuring your skin doesn’t look ghastly the next morning. Choose products you have used before and do not borrow makeup from your friends, you may end up with an infection!